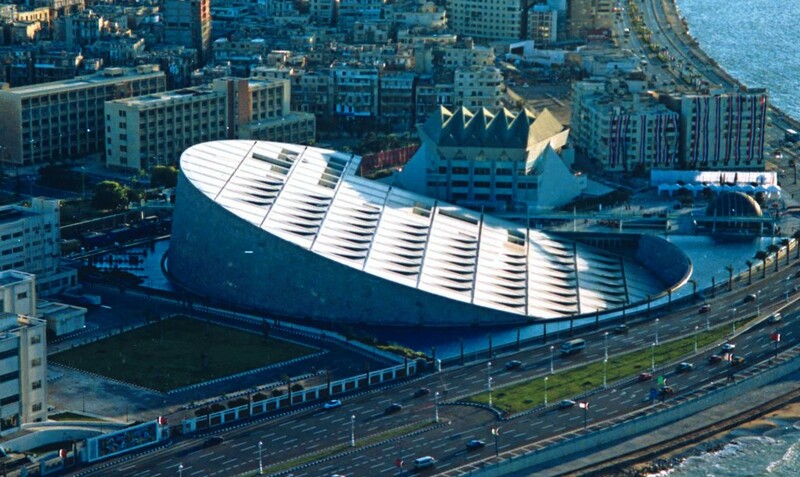 The Bibliotheca Alexandrina is a well-known library in Egypt. It is a major library and cultural center located on the shore of the Mediterranean Sea in the famous Egyptian city of Alexandria. It is venerated as both as a commemoration of the Library of Alexandria that was lost in antiquity and an attempt to reawaken something of the brilliance that this earlier center of study and great academic knowledge represented. 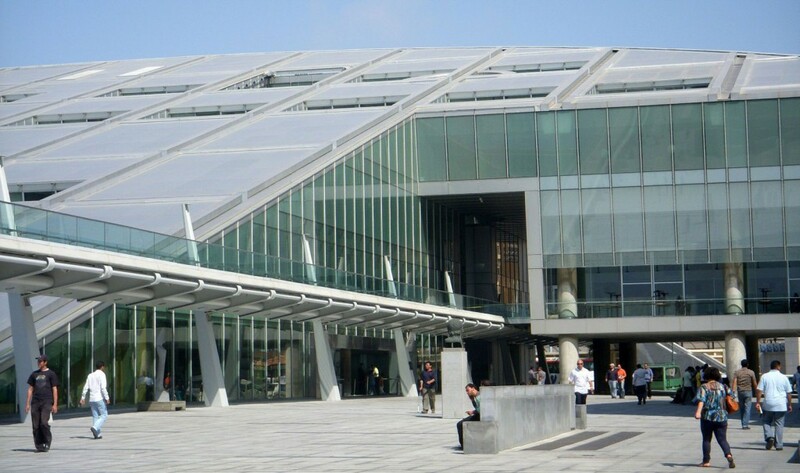 The most amazing thing about Bibliotheca Alexandrina is that, it is trilingual, containing books in Arabic, English, and French. In 2010, the library received a donation of 500,000 books from the National Library of France. 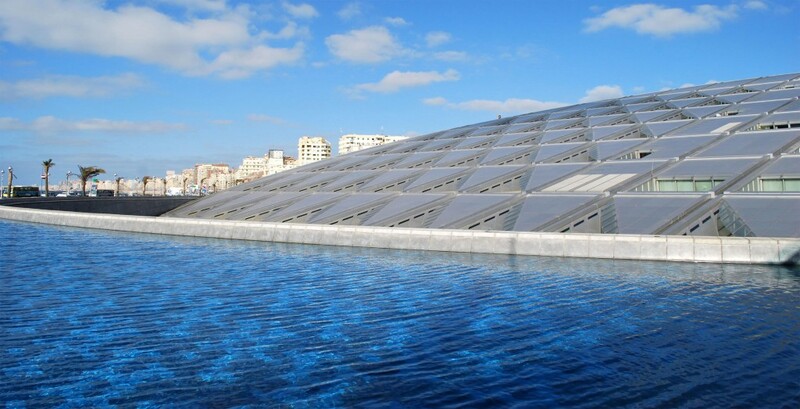 The gift makes the Bibliotheca Alexandrina the sixth-largest Francophone library in the world. The sole purposes of the museum are to promote research, creativity, and cultural awareness. The Antiquities Museum collection gives the flavor of the Egyptian history from the Pharaonic era to the conquest of Alexander the Great to the Roman civilizations before the advent of Islam across Egypt holding approximately 1,316 artifacts. The collection includes underwater antiquities from the Mediterranean seabed near the Eastern Harbour and the Bay of Abukir. The idea of recreating the ancient library was passed in1974 by a committee of Alexandria University selected a plot of land for its new library, between the campus and the seafront, close to where the ancient library once stood which was soon enthusiastically adopted. Construction work began in 1995 and, after some USD $220 million had been spent, the complex was officially inaugurated on 16 October 2002. The library has also some rare collections which include the BA’s unique items, such as original manuscripts, early printed books, maps, and antique coins. The main aims of the museum are to preserve heritage, foster human cadres in the conservation and restoration of manuscripts, and create a generation of new restorers.